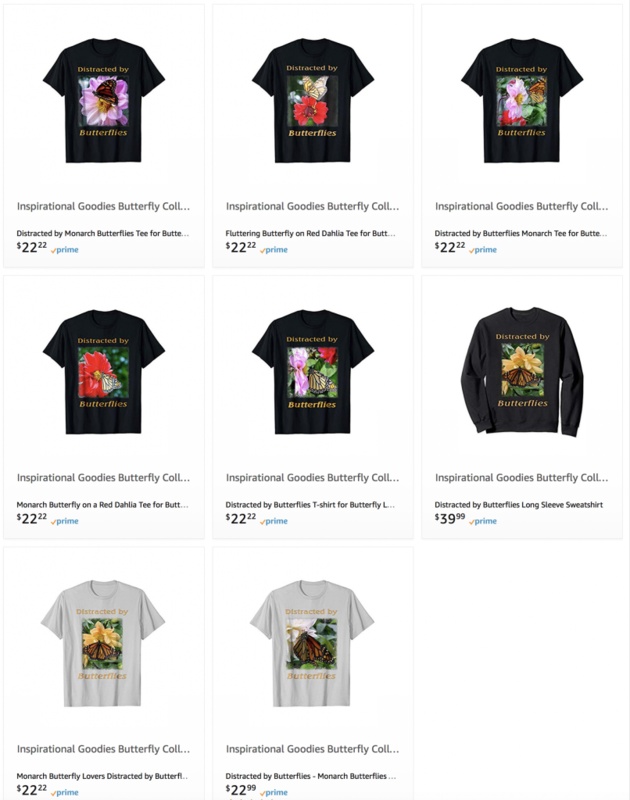 Our t-shirts make great gifts for butterfly lovers and of course are great for you to show off your own love of butterflies. Encourage butterfly conservation by wearing these beautiful shirts showing butterflies on flowers. Click the image to go to a page where you can see more about these t-shirts.